Canadian volunteers for a Metabolomic Malodor Study are needed at no cost to you. We would only need a urine sample from you when you believe you are having an odor flare up. Please contact me if interested in participating. This is a great opportunity for sufferers to see what metabolites appear in their urine. 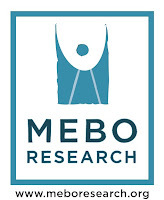 MEBO is launching a new metabolomic profiling study with the Metabolomics Innovation Center of the University of Alberta, and test kits, instructions, and an explanation of the study will be sent to volunteers for pilot study to Canadian sufferers. We have cleared the waitlist that we had for this and there are now 25 research subjects. We can still take about 4 more Canadian volunteers, so please let me know if you are interested. Testing will be carried out by Dr. David Wishart, PhD Yale, renowned scientist and head of the Metabolomics Innovation Centre of the University of Alberta and his staff. MEBO’s Scientific Director, Dr. Irene Gabashvili, PhD., will also assist with the analysis and interpretation of results. Dr. Gabashvili has been a MEBO director since the charity’s inception in the US on 2009. She is very familiar with the various conditions and needs of our community, including body odor, halitosis, and bromhidrosis, and has worked very closely with us in her development of Aurametrix. As always, we guarantee that Dr. Wishart and our MEBO team will keep your information private and secure. If you decide to participate, please let me know if I may forward your address to Dr. Wishart for the lab to send you a kit with instructions within the next two weeks. The main focus of Most online articles on metabolomic profiling are intended for professionals and difficult to understand for the lay person. So perhaps we can turn to Wikipedia to get an easier explanation on Metabolomics in layman terms. If interested in participating, please email me your name, address, and email address to maria.delatorre@meboresearch.org . Wow! Super interesting! Would love to participate although I'm in America. Depending on the results of this pilot study, it may include participants from the US. This is great. I sure hope the except from US soon would love to participate. Thanks for all you do for us Maria. You're welcome. But a great deal of credit goes to those volunteers that have offered many hours, and will offer a great deal of their time without expecting compensation for their work. It makes me very happy to see this program get off the ground. As I've stated over and over again through the years, most sufferers don't have TMAU, and we need to pursue research that helps us discover new diagnoses of breath/body odor conditions.